If you know me at all, then you’re well aware of my entrepreneurial spirit and the special connection I feel to others who have been bitten by the business-building bug. There is something so rewarding about creating a business—whether on your own, with a spouse, or with a wonderful team—and then watching it grow into something that others can love too. That is exactly what happened with the needlepoint company Asher Riley. Husband-and-wife team Virden and Elle Hargrove established the company in Birmingham, Alabama, in 2012 and have been bringing classic, preppy looks to the South ever since in the form of belts, wallets, bags, coasters, cuffs, and more. “When you have a passion for something in life it doesn’t matter how hard you work if you love it. My husband and I love working together, and we really complement each other in our different skill sets,” Elle explains. The name of the company was derived from the couple’s youngest son, Asher, and their golden retriever, Riley. The Hargroves originally sold belts made from silk ties and soon added cotton twill and seersucker belts to their repertoire. 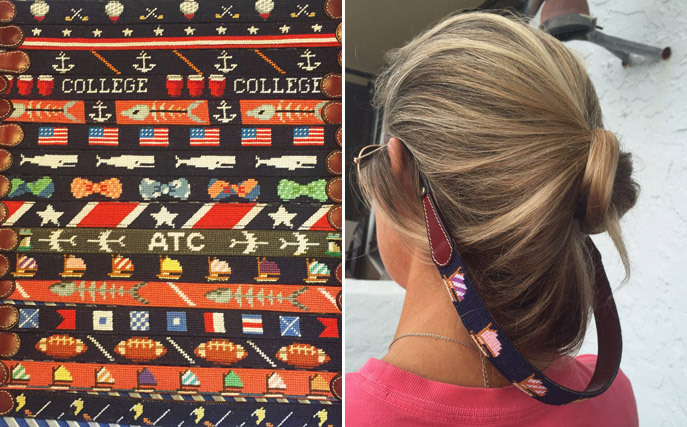 Some of Asher Riley’s customizable accessories and creative needlepoint designs. You are no doubt familiar with my love for customization, usually in the form of monogramming, so I especially appreciate the fact that each and every Asher Riley product can be customized in some way. 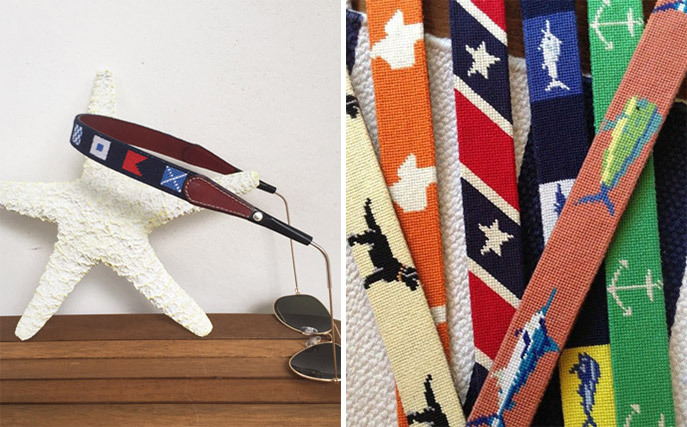 That includes needlepoint belts, wallets, flasks, dog collars, cuff bracelets, key fobs, coasters, tote bags, pillows, sunglasses straps, watch straps, and hats—all designed by Virden, who Elle admits is the one with the aesthetic eye. “He is the cautious one, great with numbers and research. I am the risk taker, social media, and marketing girl,” Elle says. With this couple’s high quality of products and joy of working together in the business they love, it’s no wonder shops all across the South are offering the Southern-style staple Asher Riley. If you’re looking for a lovely customized gift, they’re a great go-to. Do you have an entrepreneurial spirit? I would love to hear more about what inspires you. 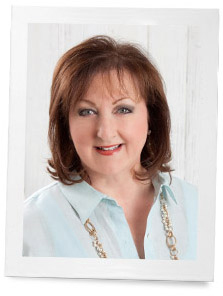 Thank you Phyllis, for featuring Asher Riley. Your blog is simply amazing! Thanks for the info, Phyllis!! Love needlepoint! Will check out their interesting company. Love the post Phyllis and plan to order soon from this company! I’ve been a needlepointer for 25 years and am excited to checkout their store online. I have stitched everything from ornaments to kneelers for churches, one being the at the High Altar in the National Cathedral in Washington, D.C. Thank you for introducing them to me. Thank you for the introduction Phyllis! I love nothing more than entrepreneurs, and try to support as many as I can. (Being one myself, I know how much work it is, but at the same time we are blessed to do what we have a grand passion for) I will go see their offerings, I am intrigued! Happy weekend!